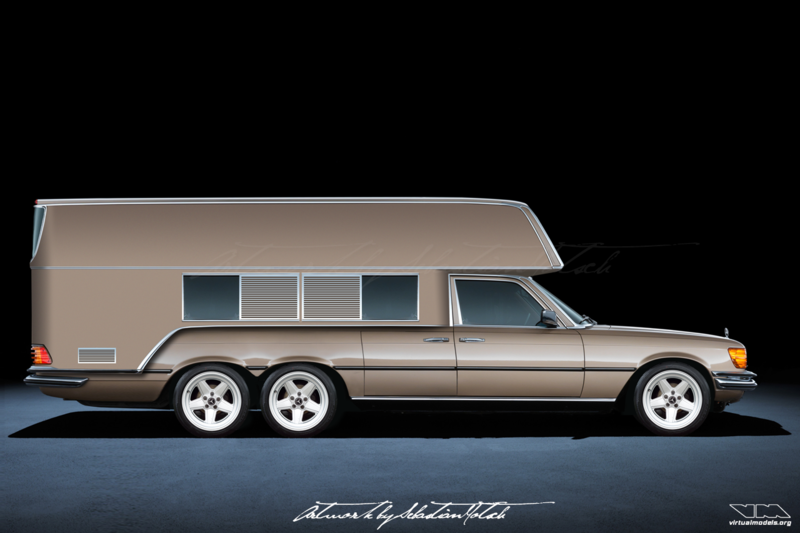 Some of you might remember the Bischoffberger camper conversion or the SAAB Toppola campers from the 1980’s . Brilliant ideas, but all of them somehow lacking style, because they are cursed with odd proportions. 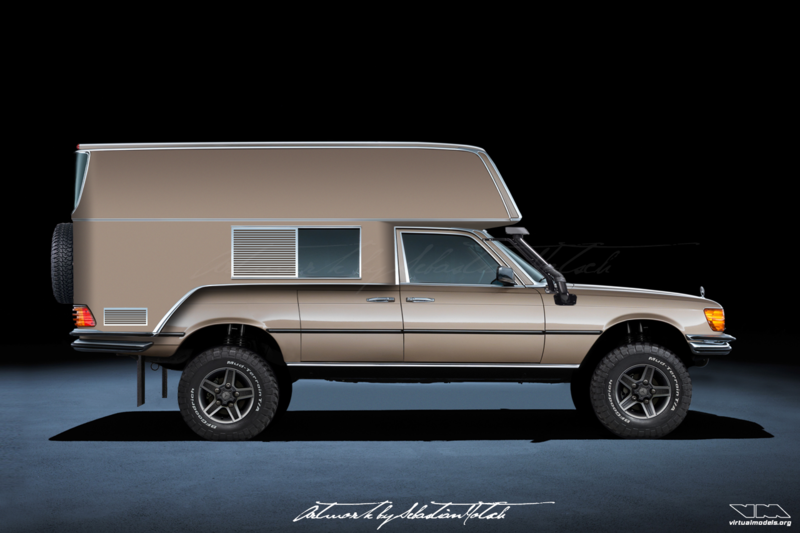 I thought it must be possible to create such an integrated camper based on a passenger car chassis, but with more pleasing and elegant proportions. 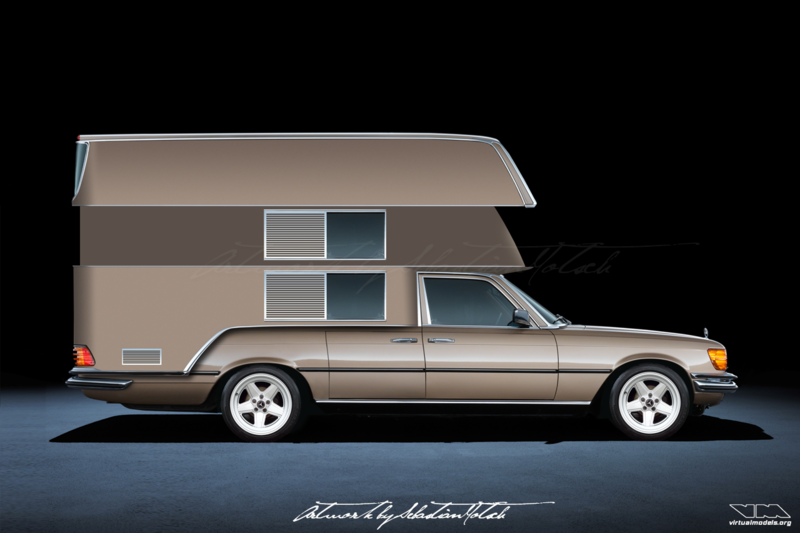 Many tries and many fails later I came up with this rather luxurious camper conversion. 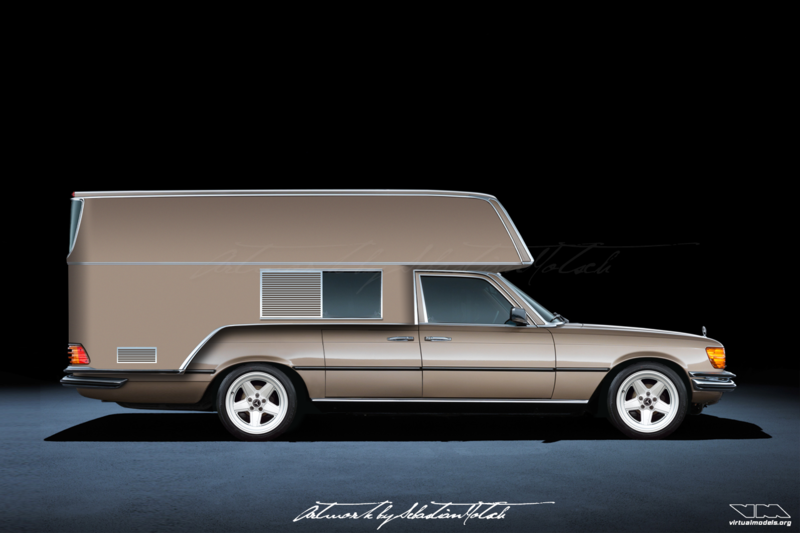 It is based on the Mercedes-Benz W116, has a pop-up roof and may be built in various configurations. The standard version features a semi-integrated camper body which ties nicely into the overall design with matching chrome trim. Access to storage compartments left and right is possible via the converted rear doors, which now open like suicide doors and feature central locking. The roof raises by the push of a button and once fully extended provides ample headroom in the living quarters. A second set of windows appears and floods the interior with daylight. All windows are equipped with chrome plated sliding blinds. Not visible in the pictures are the glass windows in the roof. They open by operating regular Mercedes-Benz sunroof switches. For customers who wish to drive on roads less traveled or off-road, the vehicle could be converted to four wheel drive. In this case, a Mercedes-Benz G Geländewagen donates the frame, running gear and axles. Full 4×4 capability with three differential locks and a snorkel for fording rivers should take you to the most remote campsites. Or all around the world, should you fancy an extended getaway. People with children, or a general need for more space to carry their gear, might want to consider a long wheelbase (LWB) version or an extended version with three axles. 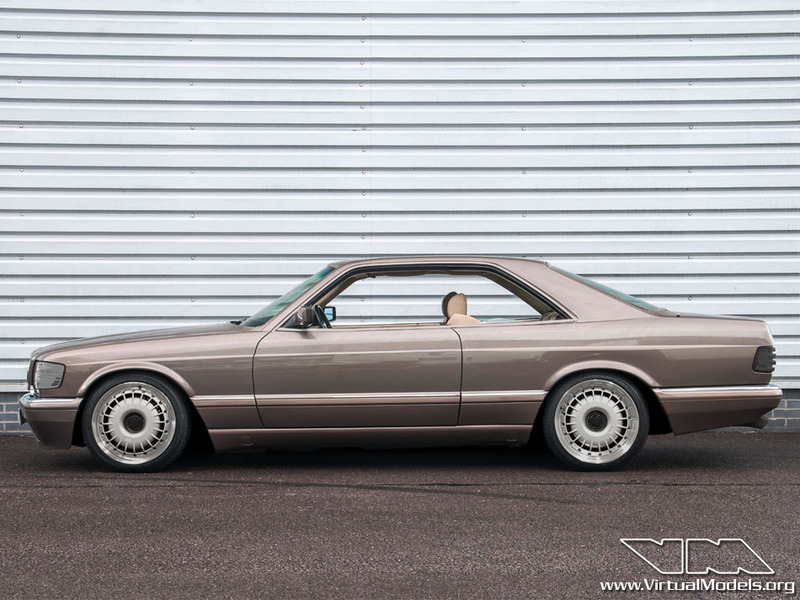 Bruno Sacco created his masterpiece for Mercedes-Benz: the C126 S-Class Coupé. One shouldn’t really mess with such an iconic design. Hence, I only changed very subtle things. The vehicle has been lowered over a set of multi-piece wheels with central locks*. The window trim has been color coded to match the body. The fenders have been widened ever so slightly and the door handles have been shaved. 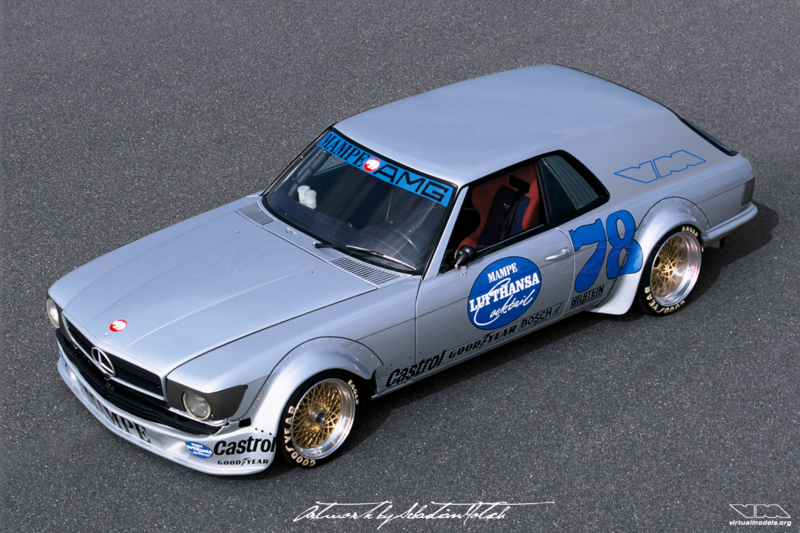 It still has an OE feel to it – but the appearance and attitude changed dramatically. 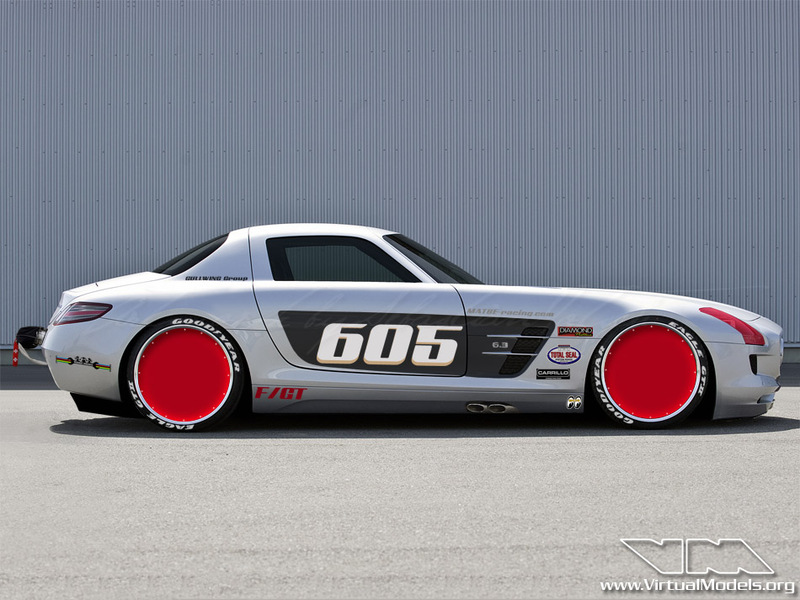 If the marking F/GT is not correct for a new car like the SLS, please let me know what would be suitable. Thank you in advance. 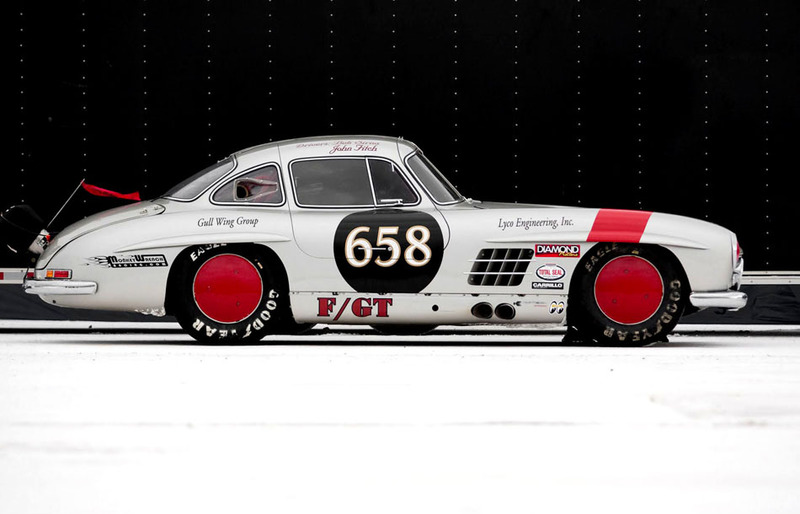 A Mercedes 300SL Gullwing at Bonneville from Roamic on Vimeo. 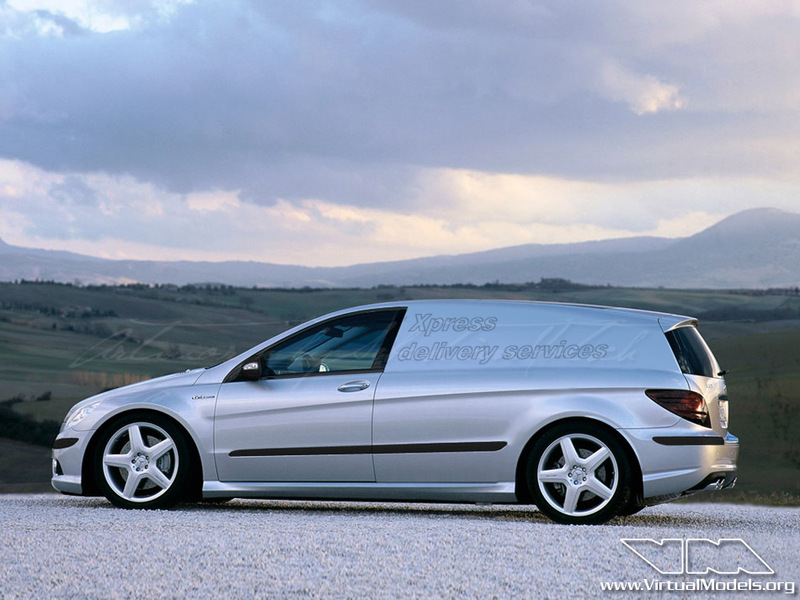 You could use a Mercedes-Benz Sprinter for those express deliveries like everybody else does – but you could get there in half the time utilizing the Mercedes-Benz R-Class Delivery Van. It’s not just a sprinter – it’s a long distance runner! Oh… and a mighty fine vehicle for towing trailers as well. Modifying an A-Class Mercedes-Benz, am I insane? Well… kind of, yes. Few people would actually attempt do this in reality – but by just moving a couple of pixels around, the only thing wasted was time while having fun, not hard cash. I designed a bodykit for the W169, added larger wheels and think it does look better now. 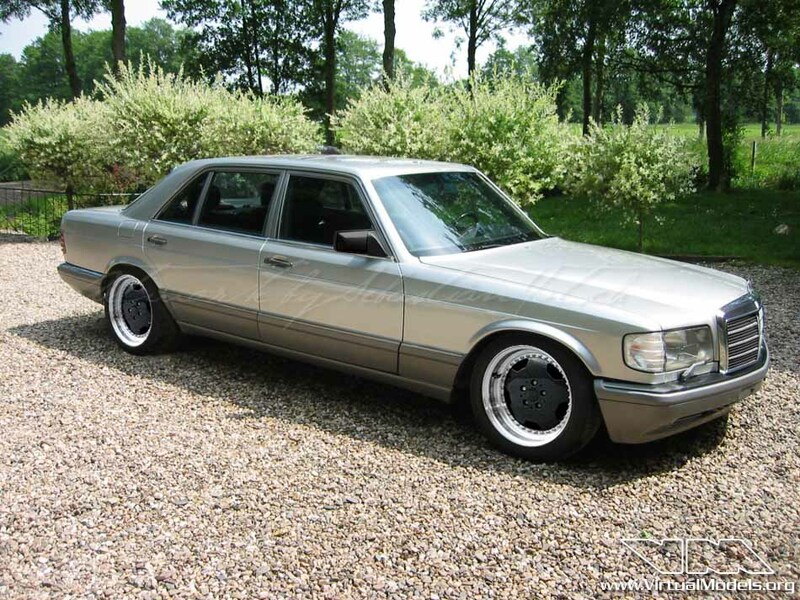 Timeless designs like the iconic W126 S-Class don’t need much to look good. Lowered, 17″ AMG wheels added, side indicators shaved. Done.